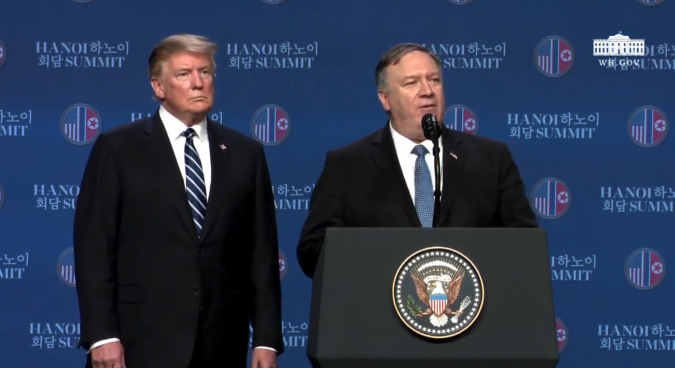 U.S. Secretary of State Mike Pompeo signaled hopes Thursday for a third summit between President Donald Trump and North Korean leader Kim Jong Un, as the two sides remain at odds over denuclearization negotiations. Kim Jong Un has not, however, “yet demonstrated that he is prepared to fulfill the commitment that he made” to denuclearize. The Secretary of State on Wednesday also told a hearing before the House Committee on Foreign Affairs that he has “not yet seen [Kim Jong Un] take the big step” the two sides discussed during their first meeting in Pyongyang in May last year. But Pompeo repeated the caution that “there’s obviously a long ways to go” and that negotiations “will be filled with uncertainty and there’ll be bumps in the road,” signaling that sanctions enforcement remains a priority in the meantime. “We have the toughest sanctions in the history – on North Korea – and I think the most promising diplomatic engagement, and we’re doing those both at the same time,” he said. Part of recent enforcement efforts, he added, is the continued work by Special Representative for North Korea Stephen Biegun on rallying allies and others – including China – behind sustained international sanctions enforcement. Palladino declined to provide details of the discussion or say whether Biegun met any North Korean officials who were in Beijing at the same time on their way to Laos. 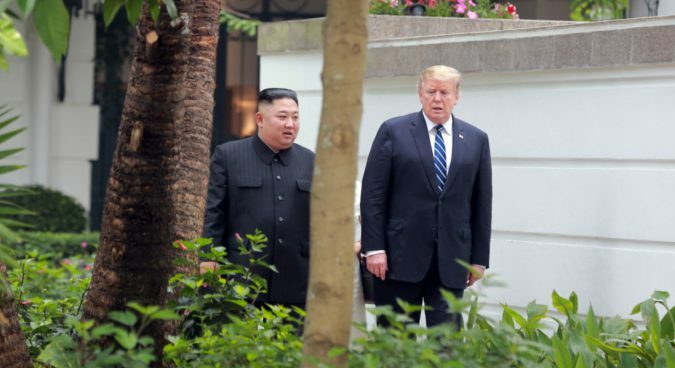 The Secretary of State, meanwhile, is scheduled to meet South Korean Minister of Foreign Affairs Kang Kyung-wha in Washington on Friday for their first face-to-face talks following the failed summit in Hanoi at the end of last month. The Blue House also on Friday announced that President Moon Jae-in and President Trump will meet for their first summit since Hanoi on April 11 in Washington. Subscribe to read the remaining 791 words of this article.